Did Cara Santa Maria Sleep With a Neanderthal? 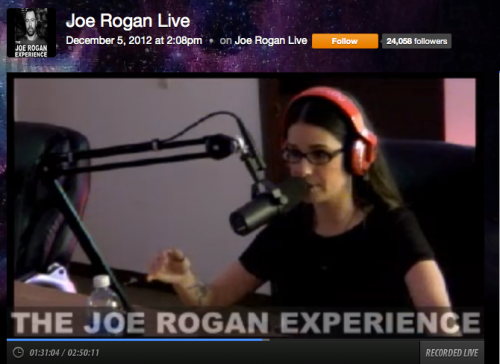 I just caught the Joe Rogan Experience podcast episode with Cara Santa Maria, the science blogger at the Huffington Post. Cara Santa Maria did seem to have a weird fascination on whether homo sapiens mated with neanderthal, or neanderthals with homo sapiens… but then again she did date Bill Maher for two years so she would know.